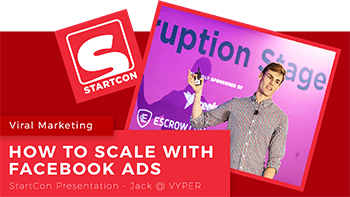 Summary – Dan is the owner of Digital Growth Agency and has had huge success using VYPER to run contest for his clients (14k emails & 8k new social followers). Dan shared that VYPER has been one of most effective ways for him to build and push users through the social followers -> email subscriber -> paying customer funnel. Why did you decide to run a contest? 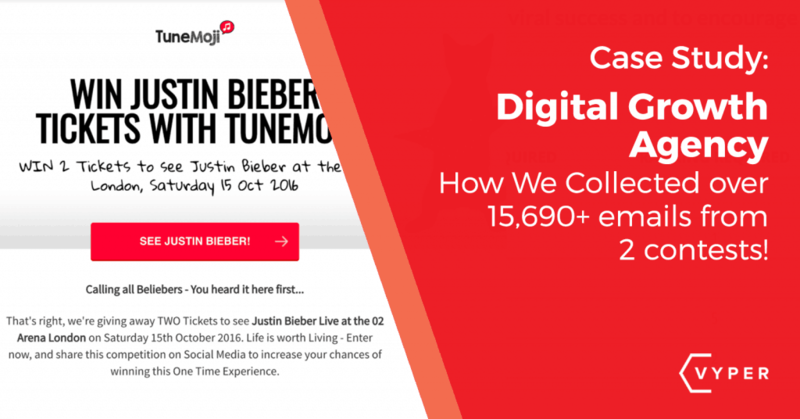 We’d tried and tested running social traffic to landing pages, which were converting fine, but we wanted to amplify the social audiences, and found that viral competitions are a very effective way to do this. What expectations and goals did you have/set for your contest? We are generally aiming to get 3,000+ email subscribers from a viral contest of this nature and to send the subscribers and offer which will convert them into customers. 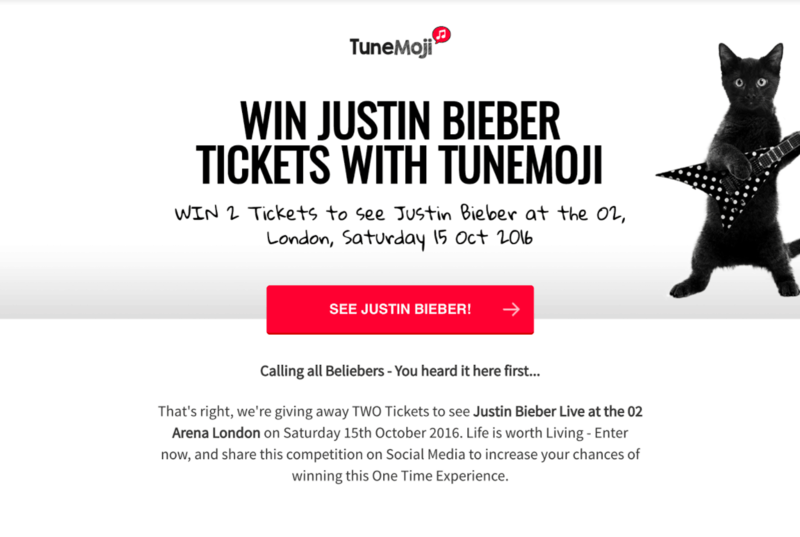 What other marketing campaigns have you tried but didn’t work? We have tried using Gleam.io & Matire App which are great tools in their own right, but found that conversion and virality were higher when using VYPER. What are the top 5 things you learned from running a contest? What would you do next time you ran a contest? Use the new custom entries tools to get more information from entrants. How did you promote your contest and what worked the best for you? We’ve promoted and cross-promoted contests on lots of different channels. We try to promote through as many channels as possible simultaneously to get the contest going. Once you get momentum the contest really starts to accelerate! Paid traffic via Facebook, LinkedIn, Instagram etc. – We see an opportunity with viral contests to reduce CPA by sending ads to VYPER’s contest landing pages, collecting Facebook pixels for retargeting all the people who land on the page (and those who sign up), and also trying to convert them with an opt-in bribe as soon as they sign up for the contest. Digital Growth are an international Growth Agency focused on building social media audiences on Twitter, Facebook, LinkedIn & Instagram. They turn social media audiences into email subscribers & customers by creating and promoting viral contests and launch campaigns.